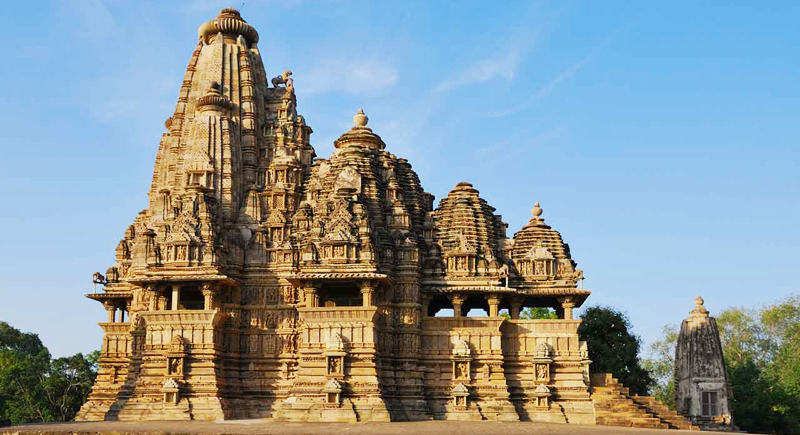 Khajuraho temples are remarkable monument , world heritage site, built by Chandela rulers with in short span of 100 years between 950 ad to 1050. Out of 85 temples only 22 survived till today. They are divided into three groups the Western, Eastern & Southern groups. The important, largest & tallest is the Kandaria Mahadeo temple in the western group. Other great creations are Lakshmana & Vishwanath temples. Light & sound show in the evening is interesting. The eastern groups includes ruined Ghanati , the Javari the Vamana And the Bhrama temples. The Parsvanath is the finest jain temple close to Ghantai. The southern groups Duladeo & Chaturbhuja temples are very beautifull due to presence of Vindhya ranges in the back ground. 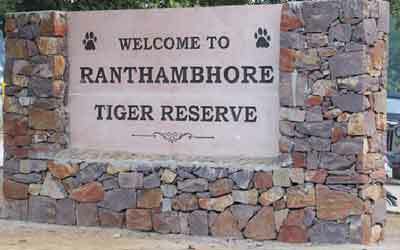 Location 175kms from Jhansi, 120kms from satana. 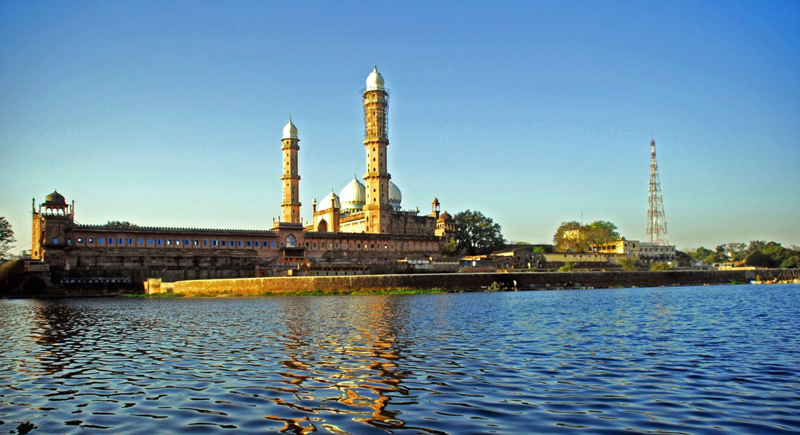 This city is famous for wonderful palaces, temples & monuments. 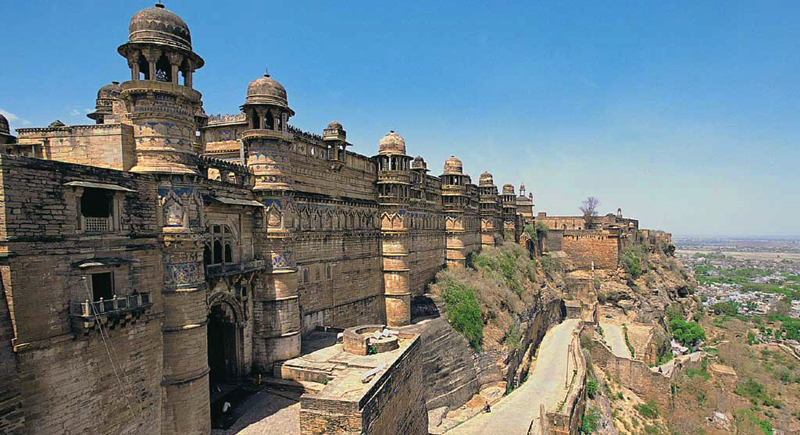 Important attraction is Gwalior Fort. 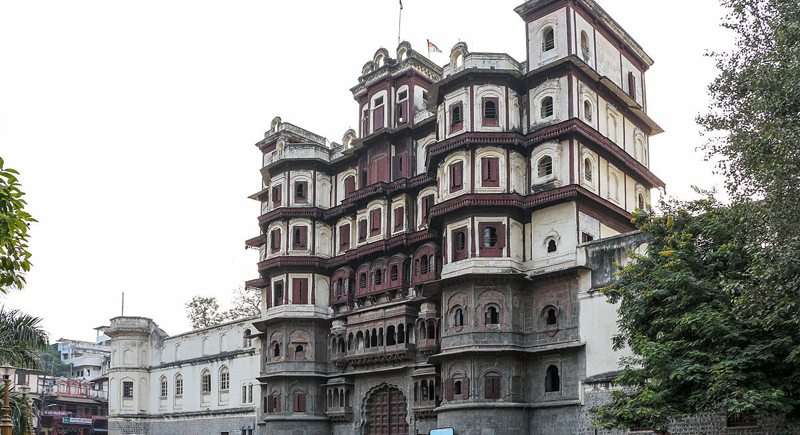 Don’t miss inside the fort Raja Mansingh’s palace, Sas bahu ka mandir, Gujari mahal museum. Tansen’s Tomb, the Jai vilas palace & Museum are worth visiting. 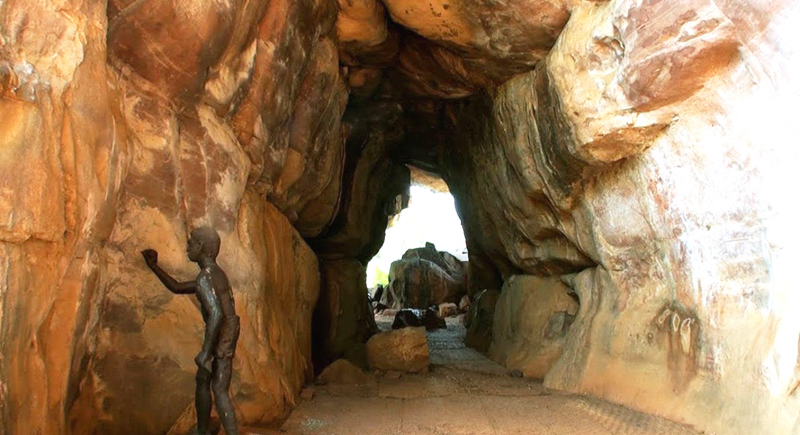 Wonderful place in Vindya range where prehistoric caves paintings can be seen. These paintings depicts hunting, dancing, music, horse & elephant riders, animals, honey collection, decoration of bodies, disguise, households, and religious & ritual symbols. Recently included in World heritage site. 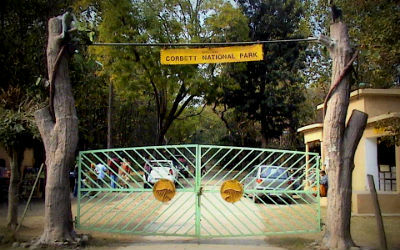 Location 46 km from Bhopal. The palace of bhopal’s afghans rulers. Its palaces & pavilions are a synthesis of Hindu & Islamic art, surrounded with mughal’s gardens. Hamam of Chamna mahal & Rani mahal are important monuments. Most impressive site in Madhay pradesh. 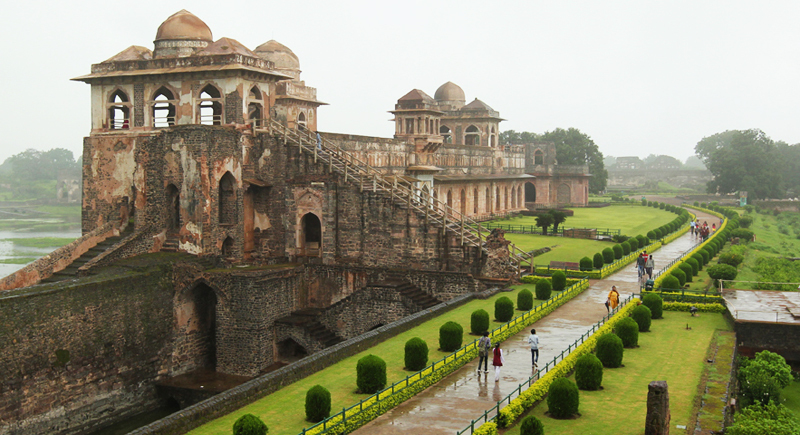 Huge palaces like Jahaz Mahal & Hindola mahal, Ornamental Canals, Baths and Pavilions by Sultans are impressive. Other architectural gems are Jami Masjid and Hosang Shah Tomb which was the source of inspiration to built Taj mahal. 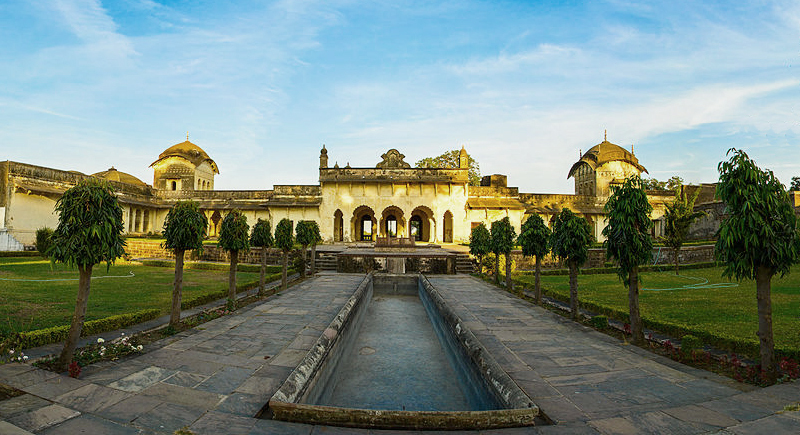 Royal enclosure has much to see like Champa Baoli, Dilawar Khan’s Mosque, Nahar Jharokha, Ujali ( bright), Andheri (dark) Baolis, Gada Shah’s shop and house and Taveli Mahal. Also visit Ashrafi Mahal, opposite jami masjid. Neelkanth Temple & Mahal , Hathi Mahal, Dariya Khan’s tomb, Dai Ka Mahal, Daiki Choti Behan ka Mahal, Malik Mughath’s mosque, Jali Mahal and Eco point. There is too much to see so one night stay is recommended. Location 100 kms from Indore. 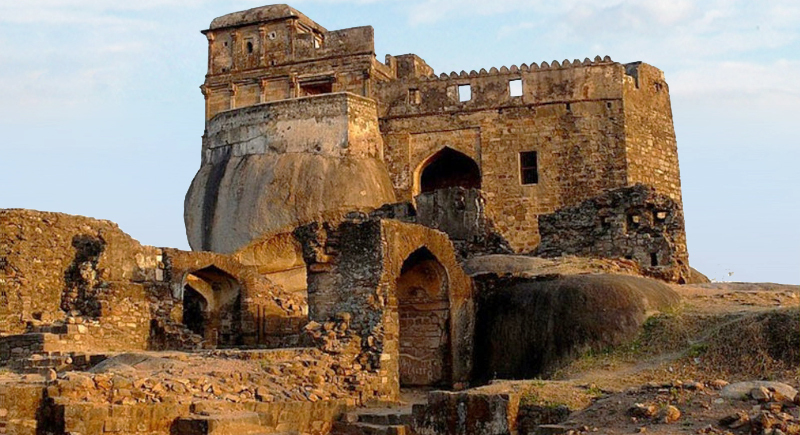 The Asirgarh fort , on outskirts of town was known as Gateway to deccan for Mughals. It has great architectural importance but it fames rests largely as a pilgrimage of Bohra Muslims as well as for Sikhs. 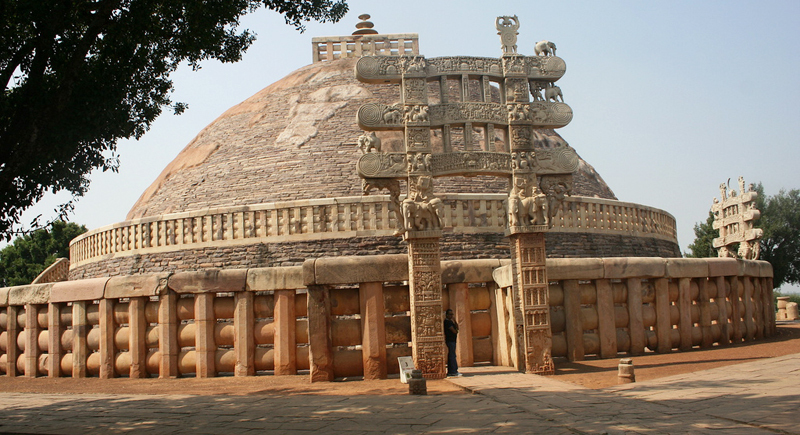 Vidhisa or Besnagar , once the prosperous capital of Sungas , contains remarkable antiquities that throws light on considerable architectural development of the period. 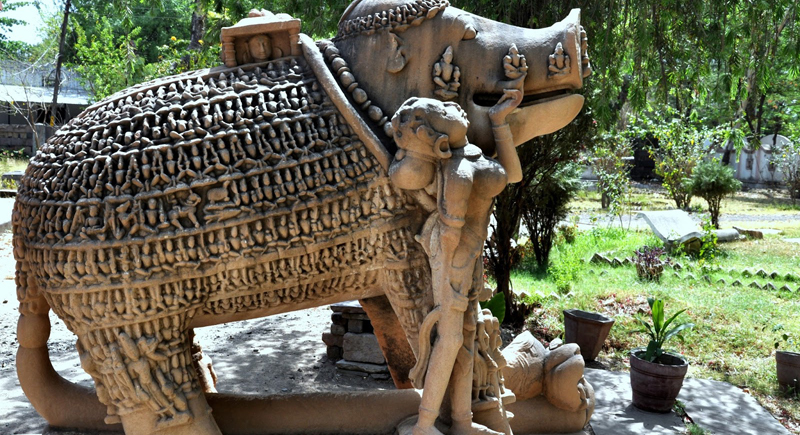 Vidisha museum has a superb collection of these sculptures, terracotta objects. Important collections are of the Surya And Chamundi figures, the Yakshi & Ramagupta inscriptions. The other attractions are the Lohangi rock, Gumbaz ka Makbara and Bijamandal Mosque. Khamaba Baba or the Heliodorus pillar is interesting, which proves connection between India & Greek in ancient times. This is famous for seven storey hilltop palace of Raja Bir Singh Deo. 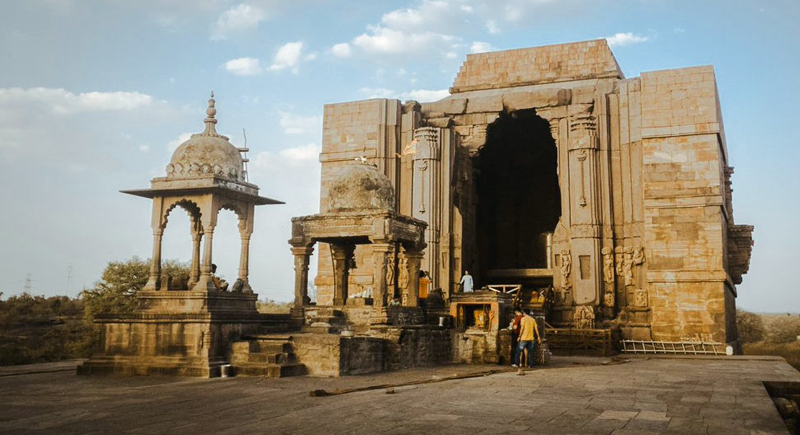 Temple with Mughal frescoes and the Gopeshwar temples are important & must to see. 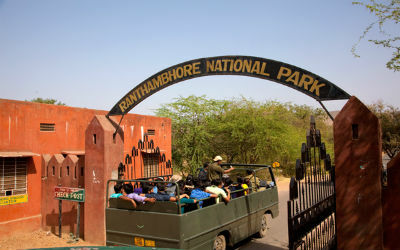 Location 35 kms from Jhansi & 70kms from Gwalior. 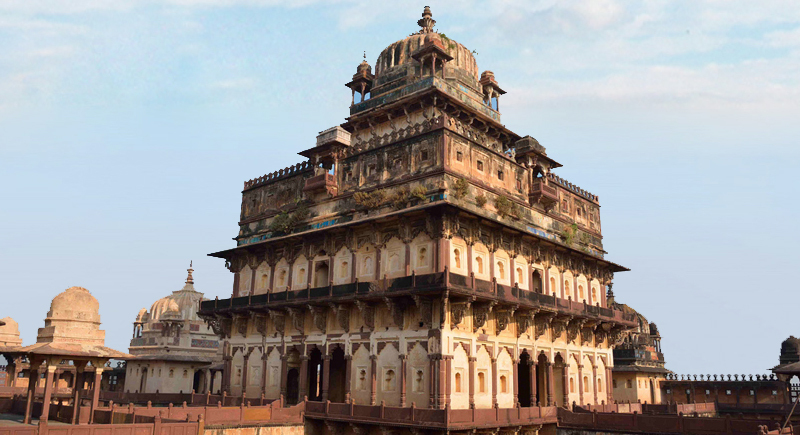 Orchha is small town located along river Betwa which represents the rich legacy of Bundela rulers. Jehangir Mahal with chatris is impressive which give spectular view. The Raj mahal & Laxminarayan temple are beautifull from interior and exteriors as well. They are fully loaded with murals of bundela school of paintings .Other important places are Rai Praveen mahal, Ram Raja Temple, Chaturbhuj Temple, Phool Bagh, Dinman Harduls Palace, Sunder Mahal, Chhatris & Sahid Smarak. Evening light & sound show is important. Location 16 kms from Jhansi. 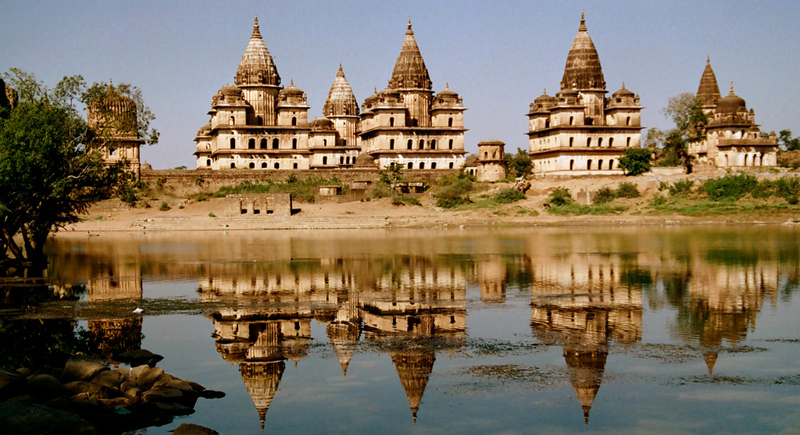 Orchha Fort & Temples alongside the Bethwa River. Mahal, Badal Mahal Gate, Jama Masjid, Shahzadi ka Rouza, Parmeshwar Tal, Bavdi and Buddhi chanderi. Chanderi saris are famous too. Location 127kms from shivpuri & 40kms from Lalitpur. the buddha’s life, are the finest specimens of the early classical art. The Gupta temple & Archaeological Survey of India are not to miss site fully loaded with stone sculptures from3rd to the Ist century BC. 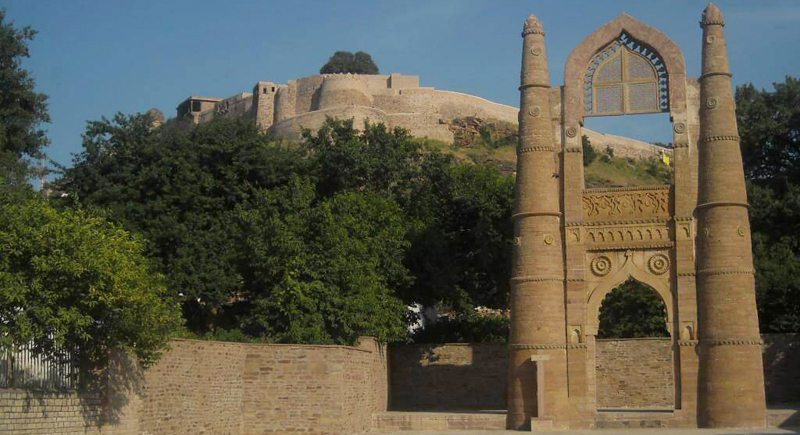 Founded by the Parmar king of dhar, Raja bhoja (1010-1053) . Bhojpur is famous for its magnificient shiva temple and Cyclopean Dam. It is often called Somnath of north, was never completed. Even incomplete, it is one of the ultimate example of 11-13’ th century temple architecture. Location 30kms from Bhopal. Initially Raja Bhoj founded this place as Bhojapal in 11 century. Later Dost Mohammed(1708 – 1740) , an Afghan soldier changed to present city as Bhopal. The two big lakes , which are nucleus of the city can remind you of Udaipur. The old city’s markets, mosques & palaces are rich in architecture. Important places to visit in old city are Taj –ul Masjid , Moti Masjid, Mahal, Sadar Manzil and Gohar Mahal. Other sits of interest are Bharat Bhawan ( multi art complex), The Museum of Man and Van Vihar National Park. Eveing boat ride in upper lake is refreshing. 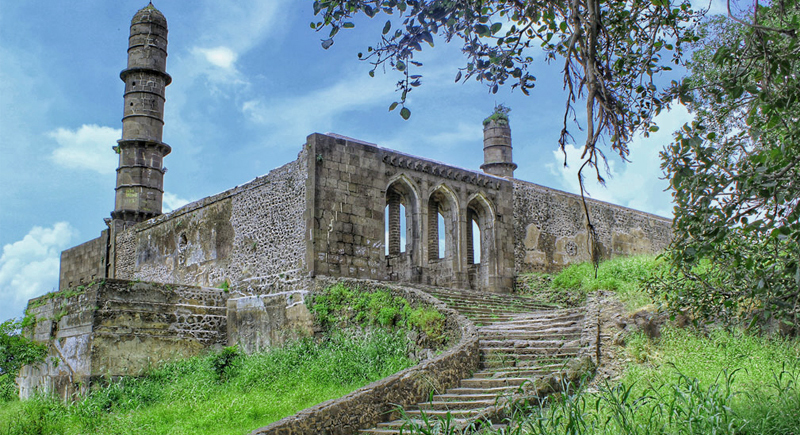 All credit goes to Rani Ahilya Bai, the brave Holkar queen , ruled from 1766-1795 to built this city. Now it is called Mini Mumbai. The impact of Holkar Dynasty can be seen . Important places to visit are Lai Bagh Palace, Bada Ganpati, Kanch Mandir, Town Hall, Central Museum, Geeta Bhawan, Rajwada, Chhatris, Annapurna, Khajrana, Kasturba Gram, Bijasen Tekri and Gomatgiri. The town was capital of Gond rulers in 12th century. Later ruled by Kalachuri dynasty. Till 1817 it was under control of Marathas when Britishers converted it to spacious cantonment. The huge colonial residences attracts any one from distance. It modern city & administrative city. Bedaghat, the marble rocks are 20 km from here.